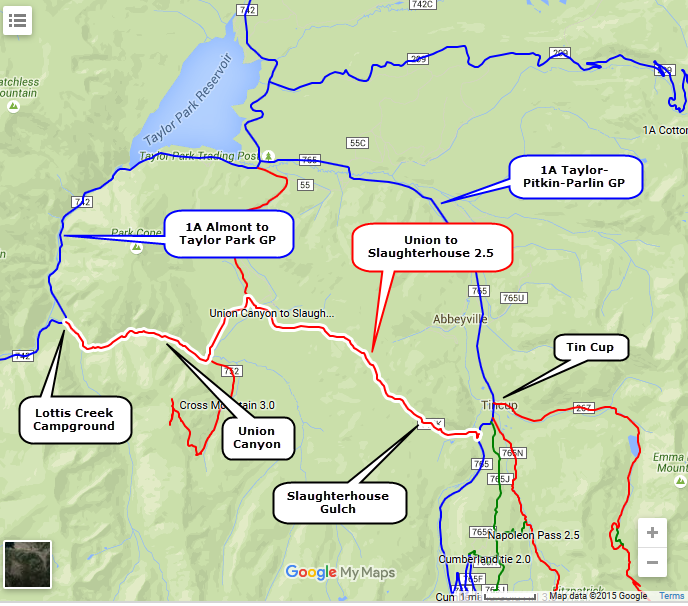 This Jeep trail takes you from Lottis Creek Campground below Taylor Park Reservoir to Slaughterhouse Canyon near Tincup. 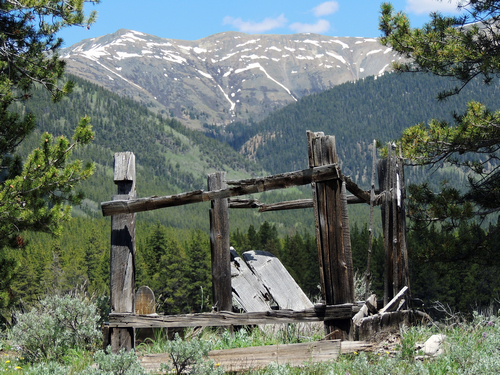 The first part of the trail is in Union Canyon, along Lottis Creek. 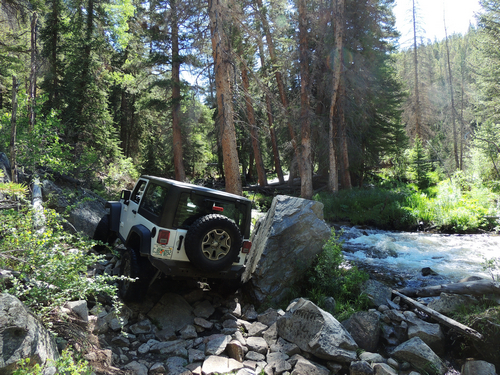 This is a narrow, rocky and bumpy trail that is very enjoyable to drive. The babbling creek is a real treat. There is a single obstacle on the trail, pictured on the right. I do not think it quite reaches 3.0 so have rated the trail at 2.5. 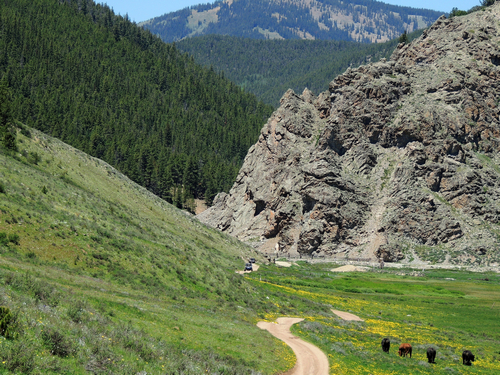 Break out the upper end of the canyon and spend a bit of time on open rangeland. 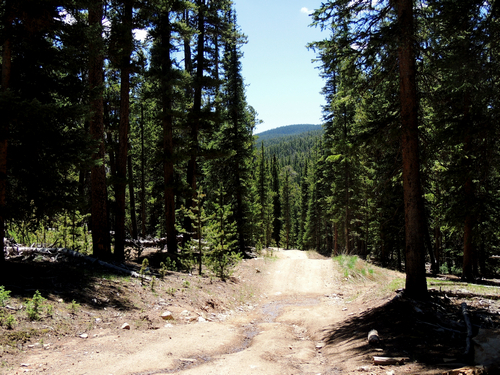 Climb up through the trees and drop down into Slaughterhouse Canyon. 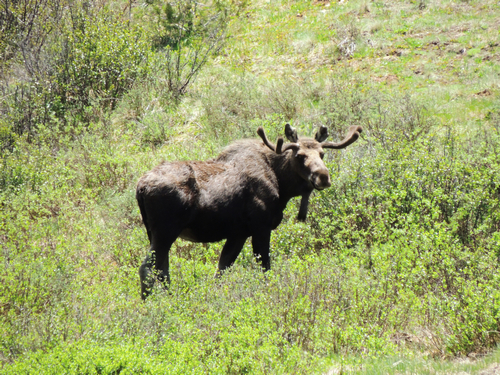 If you are lucky you may see a moose in the open land along the lower end of Slaughterhouse Canyon. Visit Tincup, the Cemetery of 4 Knolls before quitting for the day.